We have proudly sold thousands of sheepskin rugs to our satisfied customers. 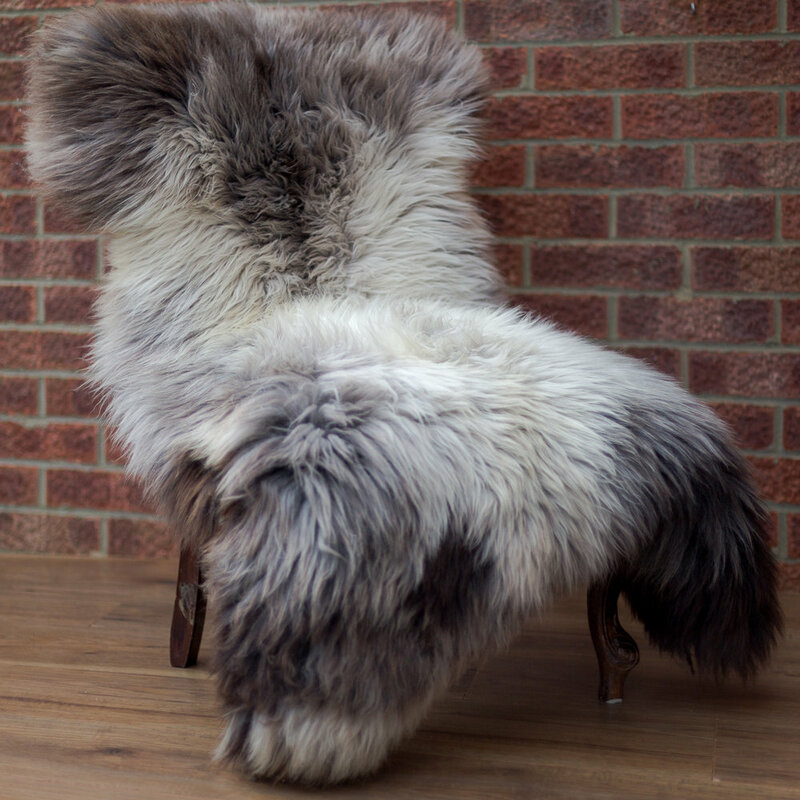 Please find below some of the sheepskin pelts we supplied. 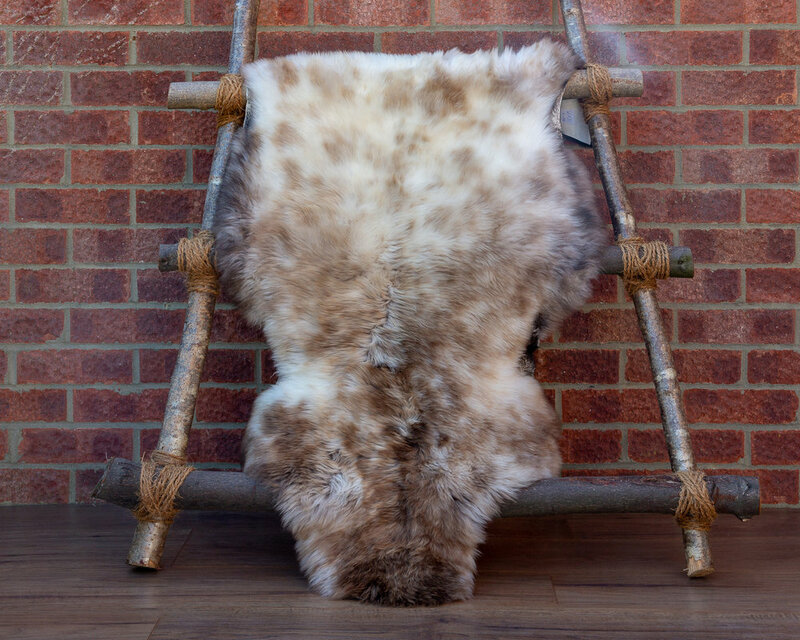 If you are interested in some of the specific sheepskin rug please do not hesitate to contact us and we will do our best to deliver the sheepskin rug to you. The long-hair sheepskin rug in natural bronze / cream colour. Called ‘Baranica’. Mix of coarse and soft, long, straight pile. Great for chair cover, footstool pad. Very unique and hard to buy nowadays. Very soft, medium pile. Extra large, natural light grey sheepskin rug. Very rare due to its size. Perfect as a sofa cover or on a dark wooden floor as a rug. Very soft, medium pile. Mixed light grey, brown pile which gives purple tones to the rug. Excellent as a rug on wooden floor or sofa / chair cover. Medium, soft sheepskin rug in natural off white colour with random brown hair gives Polka dot effect. Very soft fluffy wool. Outstanding look on sofa. Very soft, dense pile. Very big, extremely long and wide sheepskin rug. Very rare due to its size and additional grey patches. Great as a rug or large sofa cover. Very soft and dense wool. Mixed light grey, dark brown pile. Very wide and long. Unique and individual sheepskin rug. Perfect as a rug or leather sofa cover. Extra large, soft, dense sheepskin rug in natural cream colour. Light brown, coffee wool on sides. Very soft fluffy wool. Excellent as a sofa cover. Very unique. Very dense, soft, long wool. Extra large sheepskin rug. Very rare due to its colour coat. Perfect as a chair or sofa cover. Unique look large light brown patch on off white cream sheepskin rug. Very dense and soft pile. Individual sheepskin rug. Dutch Spotted sheep breed. Mix of light cream / off white wool with light brown spots. Long hair, medium size. Very fluffy and plush. Excellent to cover a footstool or a chair. Medium size. Shorn soft wool. Jacob sheepskin rug. Unique and individual coat. Perfect to cover wooden floor or hanged on a wall due to its irregular shape and very short pile. 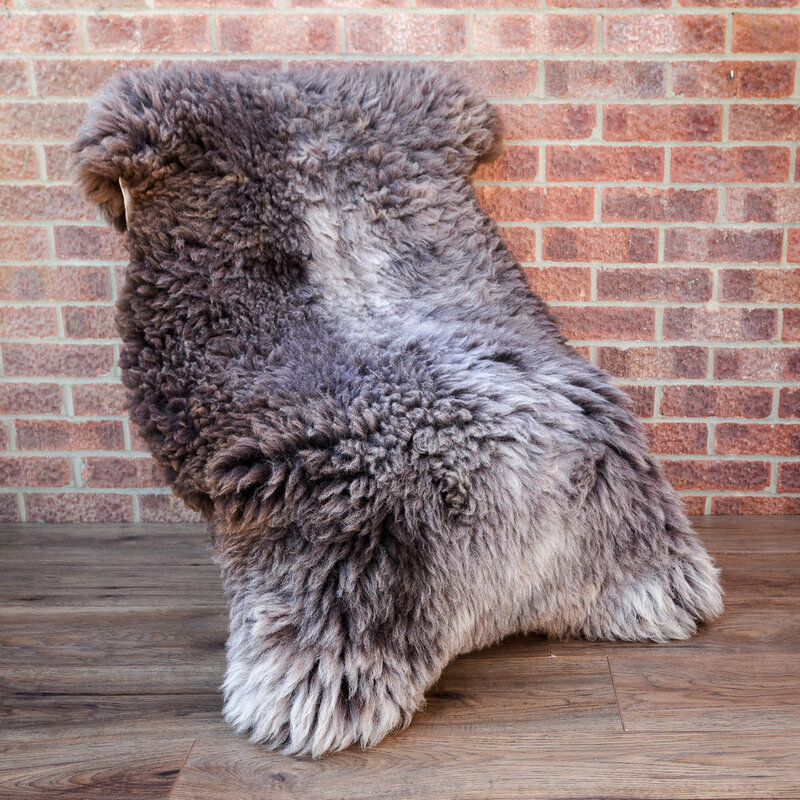 Natural light grey sheepskin rug made from British Herdwick breed, native to the Lake District of Cumbria in North West England. Large very wide on the whole length. 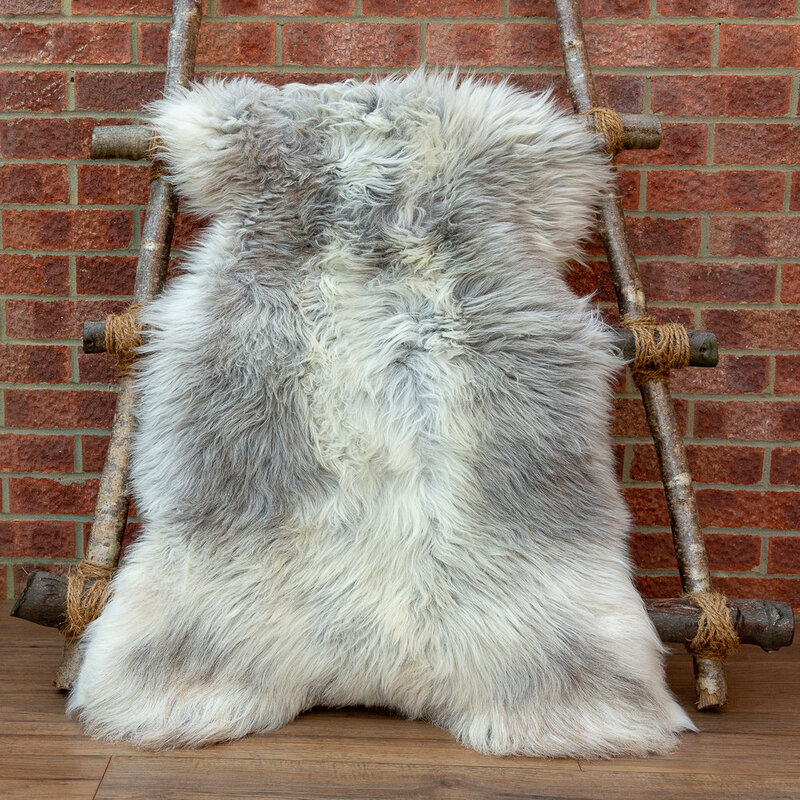 Natural brown with grey spots sheepskin rug made from British Herdwick breed. Large. Very wide on the whole length. The pile is very dense, medium soft. Natural very light grey sheepskin rug with cream patches. Native British Herdwick breed. Large very wide. Very dense, soft and short hair sheepskin. In beautiful beige coat. Mixed of light, dark, grey wool with natural cream makes the sheepskin rug a beige. Perfect as a rug. Natural cream, very dense pile. Short-haired, very wide and very long sheepskin rug. Due to its size and short pile it’s excellent to cover wooden floor. Very wide, short pile sheepskin rug. Natural cream, off white wool with very light brown patches on both sides. Great as rug on a floor. Very long hair, over 5 inches, Icelandic sheepskin rug. Very rare coloured white with light brown spots. Great as a throw on sofa. Sheepskin rug made from Polish High Mountain breed. Very long hair. Giant size, as the breed grow very big compare to other breeds. Very long hair, brown colour sheepskin rug, Very unique as te wool is grey at the bottom and brown on top. Long sheepskin rug. A perfect sofa cover. Silk soft, very delicate pile sheepskin rug. Made from a young lamb which coat hasn’t became solid colour, yet. Amazing to touch, perfect as a sofa or armchair throw. Another silk soft lambskin rug in darker brown shades mixed with cream soft wool. Delicate, soft pile. Excellent to cover armchair or sofa. Short, incredible soft lambskin rug. Made from a young lamb. Cream wool with large brown spots. Amazing to touch, perfect as a sofa or armchair throw.